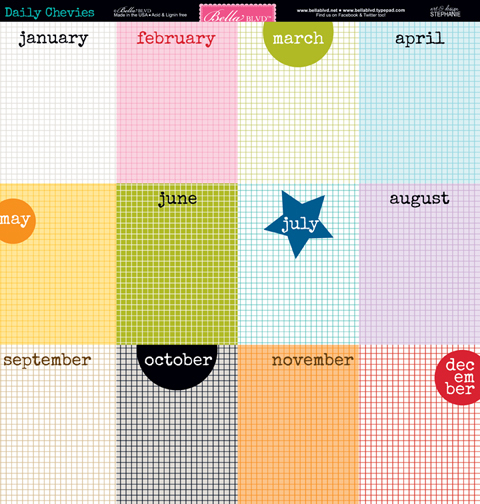 a fun way to showcase a small collage (or single) photo that reflects the highlights of each month. I pulled various seasonal components from new and previous Bella Blvd collections. creating this type of album. These cards are also perfect for your 3X4 page protector sheets too! from previous collections, as well as new...that's one of the beauties of Bella Blvd!